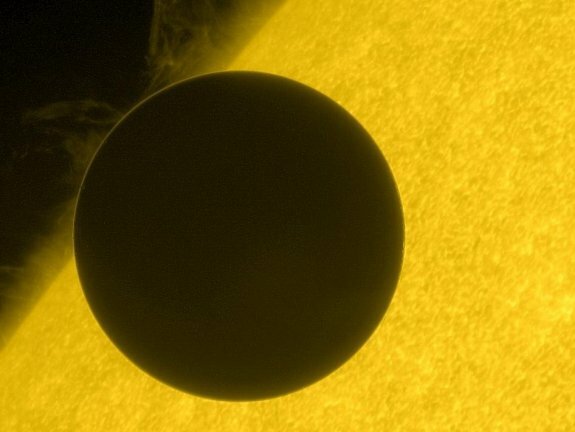 NASA published stunning photos of the 2012 Venus transit, you can view them over here. On June 5, 2012, Hinode captured these stunning views of the transit of Venus -- the last instance of this rare phenomenon until 2117. Hinode is a joint JAXA/NASA mission to study the connections of the sun's surface magnetism, primarily in and around sunspots. NASA's Marshall Space Flight Center in Huntsville, Ala., manages Hinode science operations and oversaw development of the scientific instrumentation provided for the mission by NASA, and industry. The Smithsonian Astrophysical Observatory in Cambridge, Mass., is the lead U.S. investigator for the X-ray Telescope.